As artists, we are all inspired by many different things, places, people, or events in our lives. Culture Seen thought it might be interesting to find out from other artists about what inspires them. To start this series off, I gave it my spin on the artists that I look at, and are inspiring to me (at this moment in time). We’d love to hear from you about your inspirations. Give us your five, share your links, and tell us what make you tick. We would enjoy sharing with the world. Every day that I draw, paint or make something, there are actually bigger forces at work. There are many artists that sit on my shoulders and inspire me. Maybe not all of them at once, but in the back of my mind is some inspiration from one or two artists that I admire. Some of them are from centuries ago, some I have just discovered for myself just moments ago. Here are the 5 artists that are probably my greatest inspirations at this moment in time. Some have inspired me for decades. Some are more well known than others. But as new muses come to sit on my shoulders, these artists will be with me for a long, long time. 22 7/8 x 30 in. Blanchard-Hill Collection, property of Edward V. Blanchard Jr.
For fifteen years of his life, Martín Ramírez (1895–1963) was confined at the DeWitt State Hospital in northern California. While there (he died there), he used crayons and colored pencils on cardboard, or anything he could find (or supplied to him). 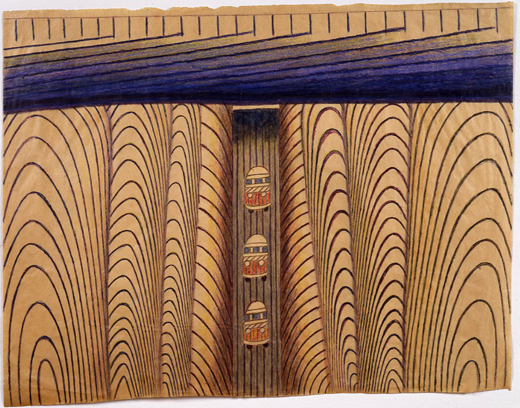 His drawings are more than just charming curious pieces from an outsider artist, but actually are very accomplished. His skill as a draftsman has often been compared to Paul Klee. 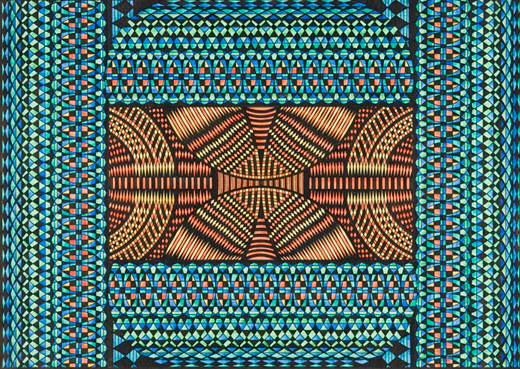 His imagery is steeped in Mexican folklore, but is still contemporary. His confidence of line, and subtle use of color is a combination that I strive to achieve, but can only hope for. Since first seeing Saul Steinberg’s (1914-1999) drawings in the New Yorker back when I was in high school, I was hooked. While from a very different world than Martín Ramírez, he, too was a master draftsman. His genius lies in his use of spare lines. He was able to keep his marks down to the bare requirement. But, in his next drawing, he might draw a very complex and very layered composition. He was an astute observer of life, and looked at the world with a sense of humor, and sly commentary. His work makes me absolutely smile. Over the years, I have collected calendars at flea markets filled with his work, and they continue to be thumb-worn from my never-ending search for inspiration. 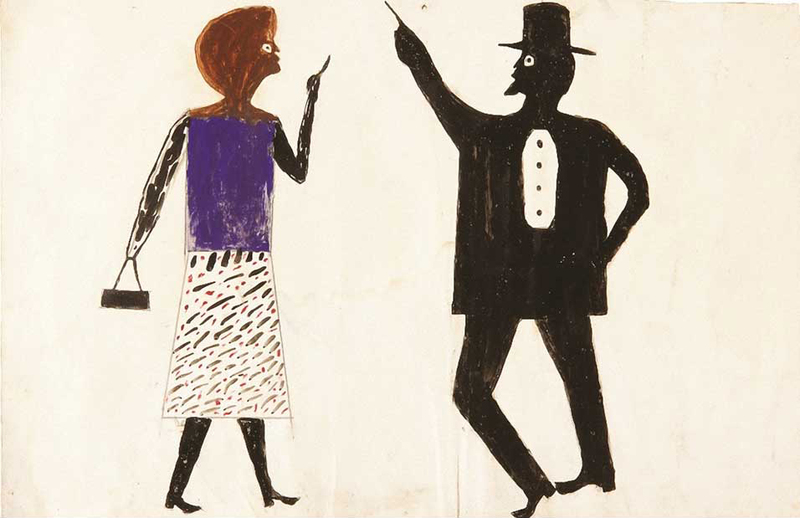 Bill Traylor (1854-1949) was a self-taught artist that still teaches me about pattern, color, and restraint. 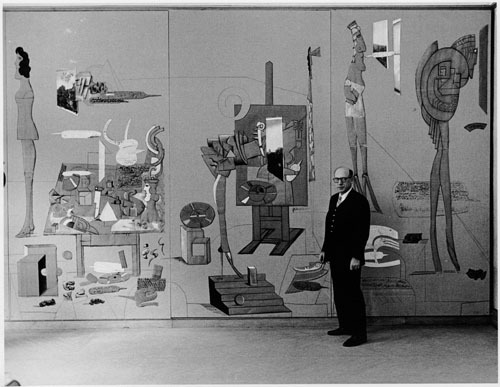 I often compare his amazing drawings to Matisse’s later work, and I have been a fan for many, many years. His economy of imagery is masterful, and with little reveled, he tells a story. I try to learn something from him by looking at his work every week. 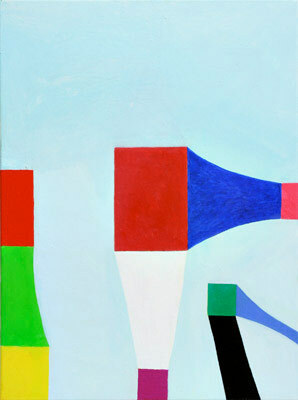 Eugene Andolsek’s (b.1921) work is actually a new discovery for me. I only became aware of this artist this week. Where have I been? From what I understand, Mr. Andolsek just was obsessed with drawing. He had no formal training, but felt compelled to get out a ruler and compass and just do the work. These compositions are brilliant, with an enviable color sense. He would just hide these drawings away in his closet until someone recognized his talent. Just read the story! It is fascinating. And, I am smitten. I only learned about Andrew Masullo’s work about a year ago, and he has shot up to the top of my list of favorite artists. I learned more about his paintings that were at the Whitney Biennial (Which ended in May, and sadly I did not see), and want to see even more. His sense of color and composition is simple, assured, and enviable. His confidence in color choices, the shapes, and patterns seem right without trying too hard. His paintings are somehow recognizable, yet unique, odd and somehow funny. I must admit that I also am a big fan of what I’ve read about him. I haven’t figured it all out yet, but that is the fun of great work.